The 40th edition of the International Fair of Agricultural Machinery was launched last 20th of February 2018 at Zaragoza (Spain). The Fair, which take place during 5 days (20-24 February), is one of the best European tradeshows which offers record data with 150.000 square meters surface, 227.000 visitors and more than 1.300 exhibitors from all the planet. In this occasion, GATES project was presented by ANSEMAT, the association of agricultural machinery manufacturers and their legal representatives in Spain. 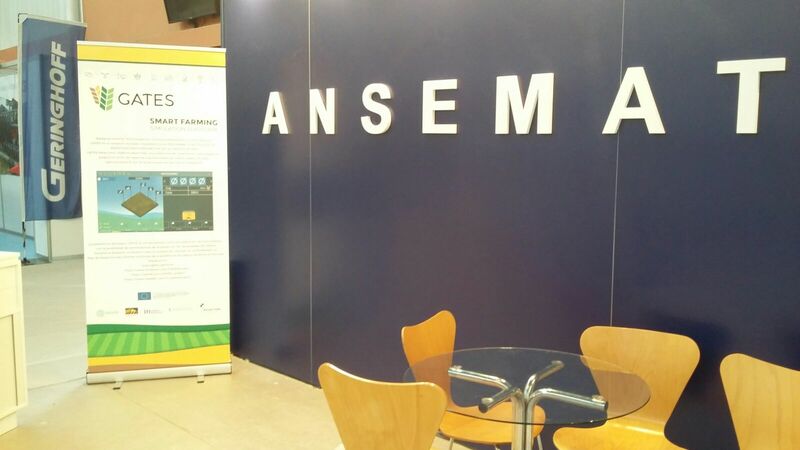 ANSEMAT disposed a stand where to receive interested stakeholders and to inform them about the project goals and results as well as to show them how GATES_serious game could increase agricultural yield and profits through the use of Smart Farming Technologies. ANSEMAT also disposed a roll-up with information of the project and promotional material that was distributed among visitors such as brochures and flyers of GATES project.